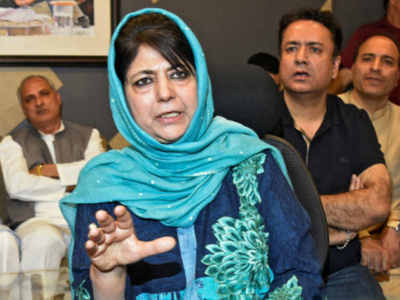 Srinagar: PDP President and former Chief Minister Mehbooba Mufti has asked the Government of India to intervene and revoke sedition cases slapped against the students of Aligarh Muslim University. She added that pushing youth to the wall will be counter productive. Recently, two Kashmiri students have been suspended by the university for offering funeral prayers in absentia for scholar-turned-militant Mannan Wani. Seven others have been served show cause notices and two students have been slapped with sedition charges. The students denied that they had gathered to offer funeral prayers for Wani.